If you’ve been looking for a reputable insurance company in NYC, your search is over with Max J Pollack and Sons. For more than 80 years, this premier insurance company has been insuring the most important assets of the residents and business owners of New York. From commercial property insurance to home insurance NYC, Max J Pollack and Sons will make sure that all of your personal and commercial insurance needs are met. Buying insurance is different than buying any other type of product. When you buy a car, you receive a car that you are able to drive; when you purchase a house, you get a property that you can live in. When you buy insurance, however, you don’t get a physical object that you can go inside of, hold, or even see; when you buy insurance, what you are buying is a promise from your insurance provider. If a travesty happens – a fire, flood, lawsuit, robbery, etc – your insurance carrier will help to cover the cost of repairing or replacing the lost or damaged items, assist with medical costs, and even assist with any legal fees that might arise. In other words, insurance is intangible. Since it is intangible, a lot of people wonder why they should bother buying insurance. If you’re wondering if investing in coverage is worth your while, consider the following benefits that insurance provides. Without a doubt, the biggest benefit that insurance provides is protection. In the event that your personal or commercial property is damaged, someone slips and falls on your premises, or something is stolen from your home or business, your insurance policy will help to cover the cost. For example, a renters NYC policy will help to replace damaged personal items if a fire breaks out in the apartment you rent; a commercial property insurance policy will assist with the damages that your building sustains if a tree falls on top of it. If an act of nature or an unexpected event arises, you’ll have peace of mind knowing that you have insurance coverage. For instance, if your apartment is robbed, you’ll have peace of mind knowing that you are covered by apartment insurance NYC. Likewise, if a vendor slips and falls while making a delivery to your business, your liability insurance NYC will offer you – and the injured individual – peace of mind knowing that the medical expenses will be paid for. Unless you are buying a house outright, you’re probably going to need to purchase home insurance NYC. 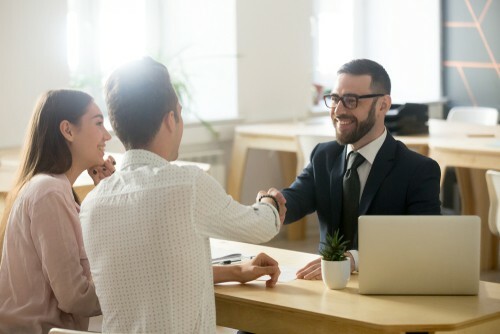 If you are financing your purchase, your lender will likely require you to purchase a homeowners insurance policy before they will approve your loan. If your property is damaged in any way, your insurance policy will protect your lender as much as it will protect you. In New York State, some types of insurance are legally required. For example, business owners must carry liability insurance, and all drivers are required to carry auto insurance. If you don’t have these types of insurance, you could be looking at serious legal trouble; not to mention financial problems. It might not seem like it, but insurance can actually save you a great deal of money in the long run. If you’re house gutted by a fire or the contents of your business are stolen, your insurance coverage will help you avoid paying the cost of repairing or replacing these items out of your own pocket. In other words, insurance can save you from financial ruin. Given all the benefits that insurance provides, it’s safe to say that you aren’t going to want to go without it. If you live or work in the state of New York, contact Max J Pollack and Sons. With more than 80 years of experience, they’ll make sure that all of your most important assets are properly protected so that you can have peace of mind. To speak to an associate, call 718.624.1461, or visit MaxPollackInsurance.com to request a quote online.